It Appears that Californians are Finally Getting the (Water) Message. | Waterless Co Inc. While the state has suffered from droughts throughout its history, the 1976-1977 drought had parts of the state virtually on their knees. Although it was not the most severe drought the state had ever suffered, it was notable due to the lack of preparedness demonstrated by state officials and water utilities around the state. Many of these officials and agencies throughout the state had ample water reserves. And in fact, if the drought had lasted just one year, there probably would not have been much of a problem. But 1977 proved even drier. That’s when things got very serious. Mandatory water rationing was instituted, and some businesses and many consumers were ordered to reduce water consumption by as much as 50 percent. By February 1978, however, there was ample precipitation. Relief was in the air. The rationing restrictions were lifted and most all Californians were back to their old water-using ways. The next significant drought occurred in 1987. What made this one so notable and problematic is that it just would not go away. Unlike the 1976 drought that lasted only two years, this one went on for six, with all six years being very dry. Most water suppliers did not feel the impact of the drought until the third and fourth years. That’s when voluntary and mandatory restrictions were imposed. While these were not as severe as the late 1970s drought, they did have a negative impact on most of the state’s businesses and consumers. This time, however, when it was declared that the drought was over, consumers and industry were a bit slower to resume their pre-drought water use habits. State officials, water utility companies, as well as the state’s major industries including agriculture realized that these droughts, whether they lasted two years, six years, or longer could really impact the state’s economy and lifestyle. While industry and consumers were once again starting to use water as if it would be forever plentiful, they were becoming just a bit more careful to use it more efficiently and responsibly. There were two more droughts, one that lasted two years beginning in 2007 and another that lasted more than three years beginning in 2012. It was after these last two droughts that Californians realized they had to make some changes. Not only did they want to reduce consumption, they were becoming more willing to recycle water, so that it could be used for other purposes, even drinking. This was one of the key findings of a 2017 survey of 3,000 residents in the state. First, they found that 90 percent of those surveyed were now concerned there would be future water shortages in California. If a study such as this had been taken back in 1977, the results could possibly have been just the opposite, with most Californians taking a very carefree attitude toward water-related issues. • After this last drought, 72 percent indicated they were recycling water and would use it as an additional water supply should there be future droughts. • Even though they may not be doing it now, 87 percent of those polled said they would be willing to recycle water in the future. • And if there were financial incentives to recycle water at home, fully 90 percent of those surveyed reported they would purchase products and equipment that would allow them to recycle water. It looks like the tide is turning. Californians have not only seen the writing on the wall, so to speak, they are now taking a very proactive approach to reduce water consumption and use water more wisely than ever before. 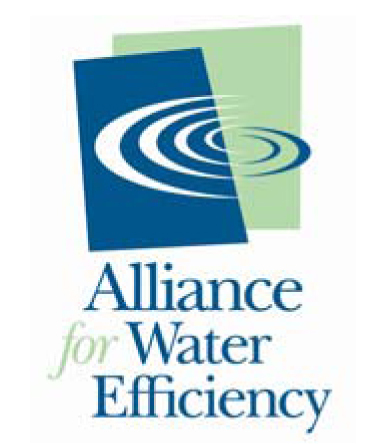 For more information on ways to save water, conserve water, and use water more efficiently, contact a Waterless Co representative.